Breakfast. Transfer to the domestic airport. Departure by plane to Aswan. Arrival, meet &assist by our local representatives and transfer to the Cruise. Boarding before lunch, Embarkation. Lunch on board. Visit the High Dam and the Philae temple. Sail to Kom Ombo. Afternoon Tea. Visit the temple shared by the two gods Sobek and Haroeris. Sail to Edfu. Dinner on board. Disco party. Overnight in Edfu. 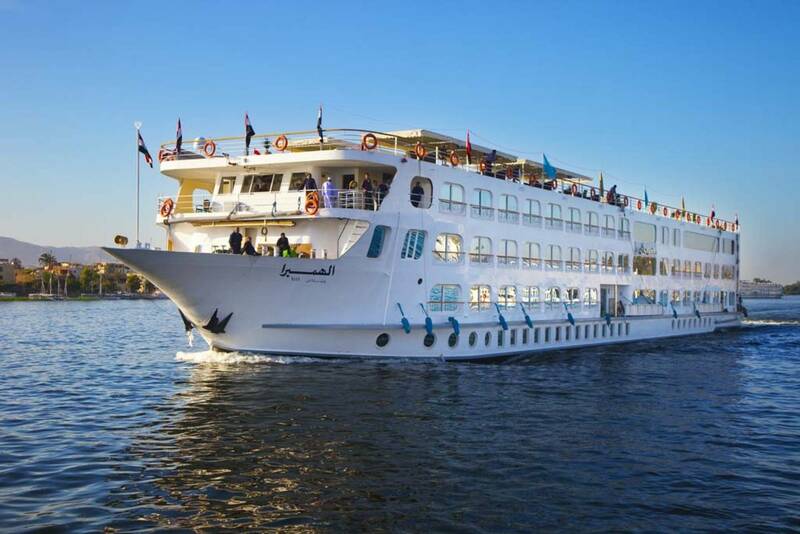 Then afternoon Continue your full Day Tour visiting East Bank: Karnak and Luxor Temple Excursion to the Luxor Temple to see its courtyard and the granite statues of Ramses the Great Proceed by carriage or bus to Karnak, which is a serious of temples, built in different reigns. Starting by the Avenue of Sphinxes visit the Unfinished Propylon, the Hypo style Hall with it's 134 gigantic columns, the Obelisks of Queen Hatshepsut and Tutomosis III, the temple of Amon adorned with lotus and papyrus designs, the Granite Scarbeus of Amenophis III and the Sacred Lake.Overnight in Luxor.